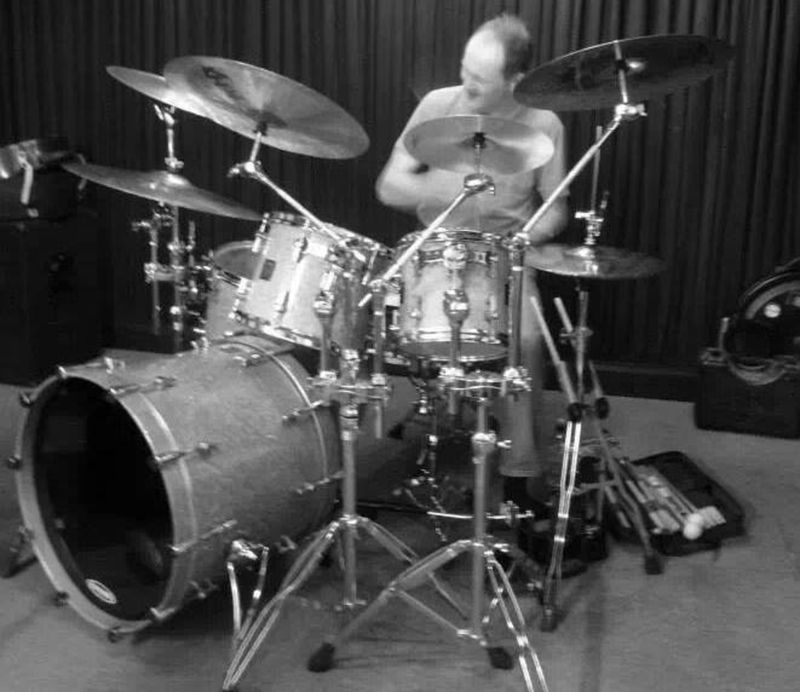 Very experienced drummer of 30+ years. Can play most contemporary styles from Metal, Rock, Pop, Reggae, Blues, Jazz (Post 60's), Funk, Fusion, Prog and a bit of Latin, but always looking to get out of my comfort zone. Click friendly (including live), Studio work, reliable, own transport. I would describe myself as Semi-Pro but happy with the day job working in the Tech industry in Cambridge. Previous Cambridgeshire bands include Alex Harris (Pop Rock) (Cambridge Battle of the Bands winner 2006), The New Dynamics (Pop Rock), The Sand Dollars (Pop Rock), Terror Formers (Heavy Rock covers), Double Shot (Blues/Rock covers). 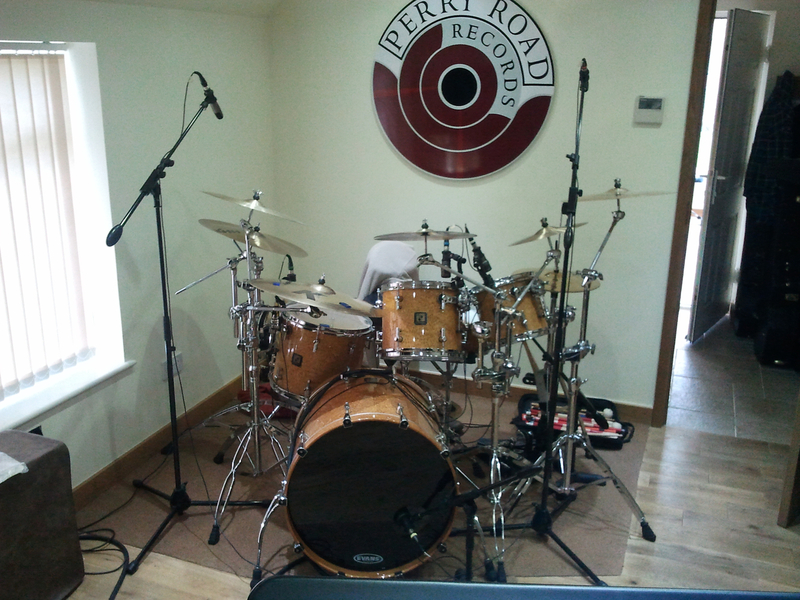 Most recently doing some Studio recording work for a local musician. Looking for an interesting local Cambridgeshire band or studio project. 70's prog, rock, disco, fusion. 80's Pop & Rock, 90's Acid Jazz, 00's Pop, 10's Jazz Fusion. 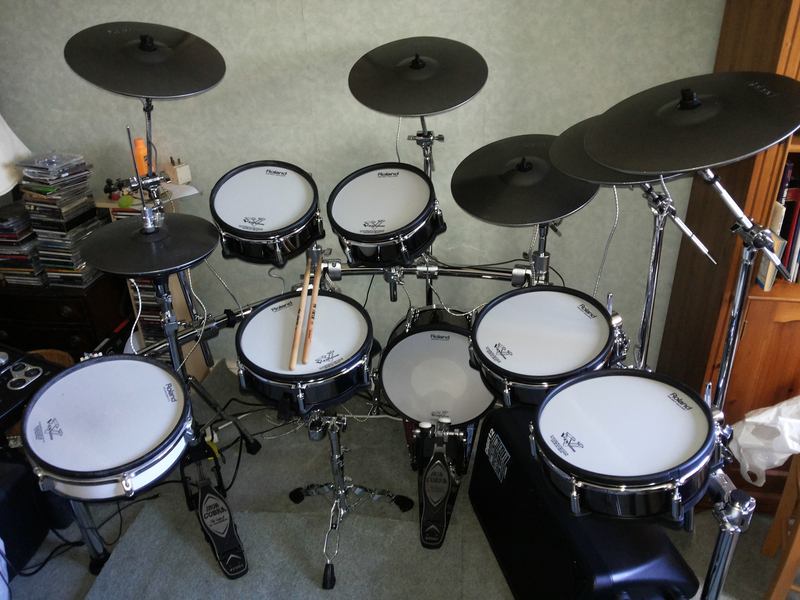 Pro acoustic Maple kit with lots of Zilds for live,noisy. 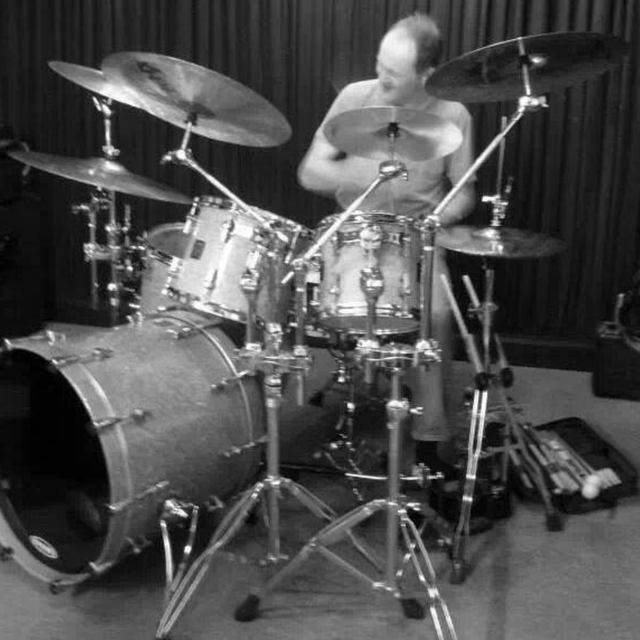 V-Drums for controllable volume/Studio/Practice. 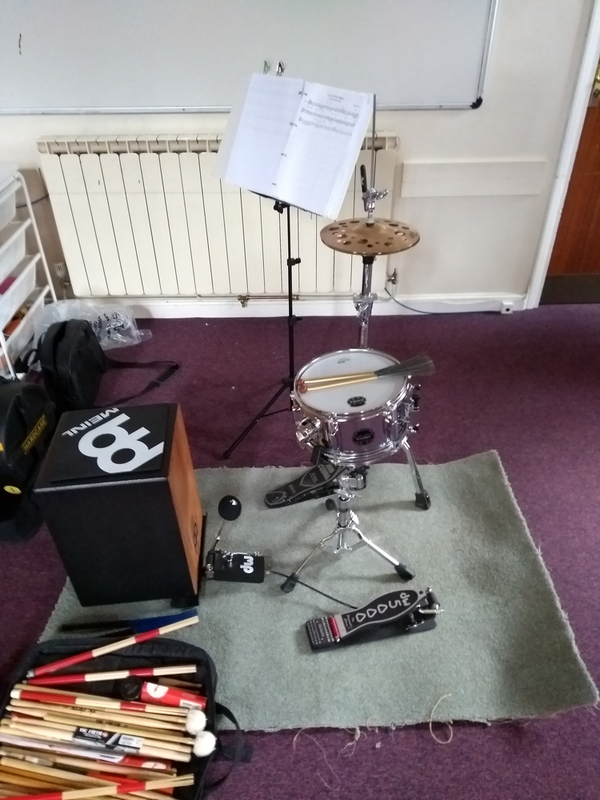 Cajon/Percussion kit for acoustic, quiet and tasteful. Cambridge Spring Rock Festival April 2014. Double Shot (Raw Blues/Rock) 3 peice. Battle of the Bands final, The Cambridge Junction April 2006.